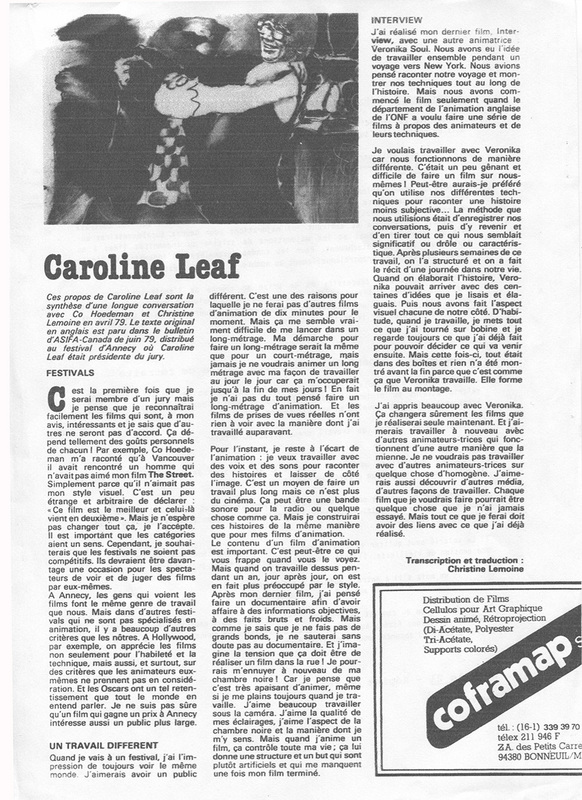 Caroline Leaf, 1996 Life Achievement Award, Erik Roberts, published by 12th World Festival of Animated Films. The Owl Who Married a Goose is included in Watch Me Move Exhibition, Barbican Centre, London, 2011. The show subsequently is on tour worldwide. TWO SISTERS included in SPACETRICKS/TRICKAUM at the Museum fur Gestaltung, Zurich, 2005: continuing to James Hockey Gallery, Surrey Institute of Art and Design, Farnham, England, from February 2006.